In this post I will be looking at our English curriculum these days. At a younger age, Jay and Freida were fulfilling their language and literacy needs primarily through sharing story books, dramatic play and discussions. 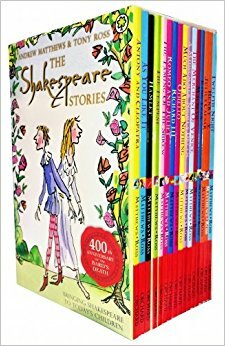 We now do a variety of activities for English, such as going to plays and reading the accompanying texts on a fairly regular basis (mainly Shakespeare for Kids which makes storylines accessible before introducing tricky Shakespearean language). The kids also attend wonderful homeschool drama classes as well as the Helen O'Grady Drama Academy. We find the balance between the individualised, wholistic nature of the homeschool drama classes and the more formalised approach of Helen O'Grady appeals to our children. 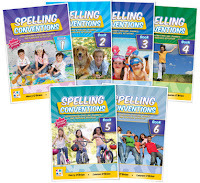 To supplement the regular activities the children do we use Spelling Conventions, an Australian Syllabus based series for younger children to approximately teen age. Written by Harry and Lauren O'Brien, these books are broken into about 35 units, so last approximately a year if your kids do one unit a week. We alter the amount we do quite a bit, depending on how much the kids feel like doing (sometimes twice that amount, sometimes half) and how busy we are doing other stuff. On average my kids tend to finish around one book a year. An average unit is broken up into three word lists (there is also a my words list that we never use). These lists are (1) a phonics focus (ie oo sounds or oi sounds) (2) basic list of high frequency words (ie commonly used words) and (3) difficult words. 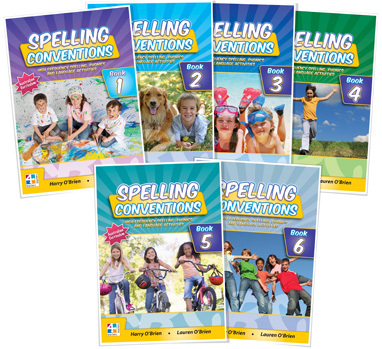 Then there are exercises for using the words in context, punctuation, secret word codes, sign language words (Auslan), grammar, dictionary definitions for words, etc. As I said in a previous post, my kids love these books and bright illustrations make them a bit interesting. We attend a homeschool bookclub, play a lot of board games such as Scattegories, Story Cubes, and Conversation Cards . 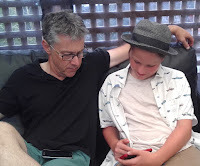 All of these things are wonderful resources and literacy prompts, but I still firmly believe that sitting down and listening to your child, talking about things that matter to them and connecting to them on their level, while encouraging them to actively listen to others is the single most important learning lesson you can impart to your child for school and for life.